I have five apple-trees in my garden. You can image how many apples they produce ;) And since I can't eat all of them, I sometimes use them (mostly the wrinkled ones that are not so nice to eat anymore) for crafty stuff. 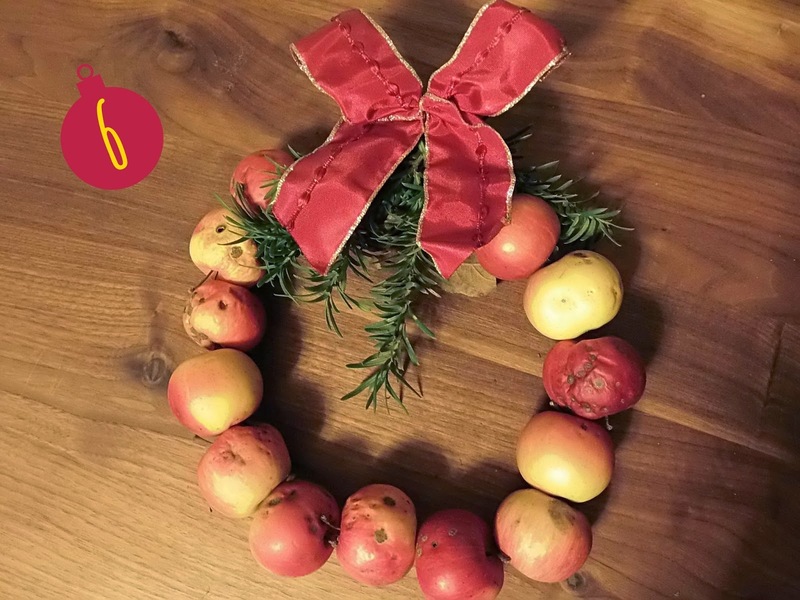 Today I am going to show you how to make a decorative apple wreath, which is beautiful for a chrismassy home. Wrap the ends of the wire together and fix some brushwood and a big nice red ribbon on top of your apple wreath. You can now put it on a decorative plate and place a christmas candle in the middle of it. That's it :) My apple wreath held about one week.